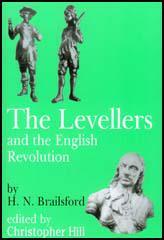 During the English Civil War radicals such as John Lilburne, Richard Overton, William Walwyn, Edward Sexby and John Wildman were described as Levellers. They published pamphlets such as A Remonstrance of Many Thousand Citizens (1646), An Arrow Against All Tyrants (1646), The Free Man's Freedom Vindicated (1647), Rash Oaths (1647) and An Agreement of the People (1647). In July, 1648, the Levellers began published their own newspaper, The Moderate. Edited by Overton it controversially encouraged soldiers in the New Model Army to revolt. The articles written by Overton were more radical than contemporary writings by other Leveller leaders. Whereas radicals like Lilburne opposed the trial and execution of the Charles I, for example, Overton supported it as necessary for securing English liberties. In March 1649, Lilburne, Wildman, Overton and Walwyn were arrested and charged with advocating communism. After being brought before the Council of State they were sent to the Tower of London. With its leaders in prison, it ceased publication in September, 1649. (1) The Moderate reported in May 1649 on the execution of mutineers at Burford. This day James Thompson was brought into the churchyard. Death was a great terror to him, as unto most. Some say he had hopes of a pardon, and therefore delivered something reflecting upon the legality of his engagement, and the just hand of God upon him; but if he had, they failed him. Corporal Perkins was the next; the place of death, and sight of his executioners, was so far from altering his countenance, or daunting his spirit, that he seemed to smile upon both, and account it a great mercy that he was to die for this quarrel, and casting his eyes up to His Father and afterwards to his fellow prisoners (who stood upon the church leads to see the execution) set his back against the wall, and bid the executioners shoot; and so died as gallantly, as he lived religiously. After him Master John Church was brought to the stake, he was as much supported by God, in this great agony, as the latter; for after he had pulled off his doublet, he stretched out his arms, and bid the soldiers do their duties, looking them in the face, till they gave fire upon him, without the least kind of fear or terror. Thus was death, the end of his present joy, and beginning of his future eternal felicity. Henry Denne was brought to the place of execution, he said, he was more worthy of death than life and showed himself somewhat penitent, for being an occasion of this engagement; but though he said this to save his life, yet the two last executed, would not have said it, though they were sure thereby to gain their pardon.